Like all books from Arctic International LLC, this book is written in clear, layperson's language and designed to permit the typical tax and payroll professional to understand the complex immigration issues associated with making payments to foreign nationals. Relevant immigration statutes and resource information. An Overview of Permanent Immigration to the U.S. The book also includes a copy of our Immigration and Tax Poster. At a glance, you can quickly reference each nonimmigrant visa category, its purpose, and reference related authorization documents and relevant tax issues for each category. Want to know what immigration authorization documents you should review for J-1 professors? Or the standard tax treatment for H-1B workers? - You'll find this guide indispensable for fast and accurate answers to common immigration and tax issues, as well as an attractive addition to your office decor. The Immigration and Tax Poster is included with each copy of our book, Immigration and Tax: At the Crossroads. Due to overwhelming demand, Arctic International LLC now offers you the opportunity to purchase just the Immigration and Tax Poster. 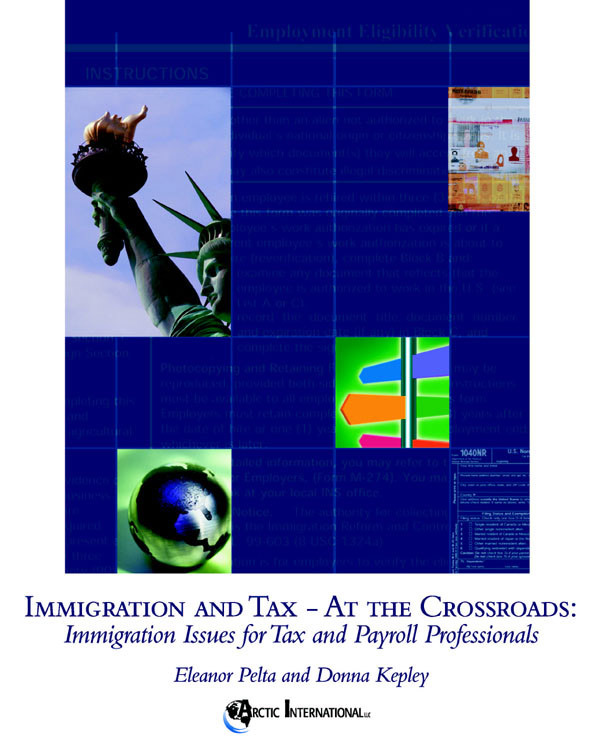 Many of our readers have found the Poster included with our book, Immigration and Tax: At the Crossroads, such a great reference tool, they want to have extra copies of the Poster to provide to other departments (e.g., Human Resources, Payroll, Office of International Students and Scholars). Each poster measures approximately 17" by 22". You may order Immigration and Tax Posters individually or in packages of five.